First the cats...and now the bunnies. More specifically, bunnies and diamond rings. Fancy bunnies. This is one of the reasons why Katrina and I are great blog friends--we're both overly enthusiastic about collecting clothes covered in weird-cute tiny animal prints. It's a good thing we're sharing closets. It's funny, because she mentioned that we both wore suspenders in the last post (her tights and my skirt), and I hadn't even noticed at first! I did see that we had a common feature this time around too: we both wore chunky statement necklaces around the collar (mine is from NikNakky). The more we do these surprise swaps, the more little similarities I find. I wore Katrina's bunny & jewels blouse with a gray boyfriend cardigan, faux leather shorts, black tights, and patent ballet flats. Here's how Katrina styled the blouse. I absolutely love how sleek and sophisticated she looks here! I think it's awesome how she made the bunnies look so sharp with the tailored blazer and gold watch. It makes me wish I could wear business-y attire in my everyday life. Bunnies and blazers are a good mix. 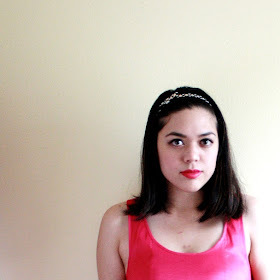 Be sure to visit her blog for her full post! 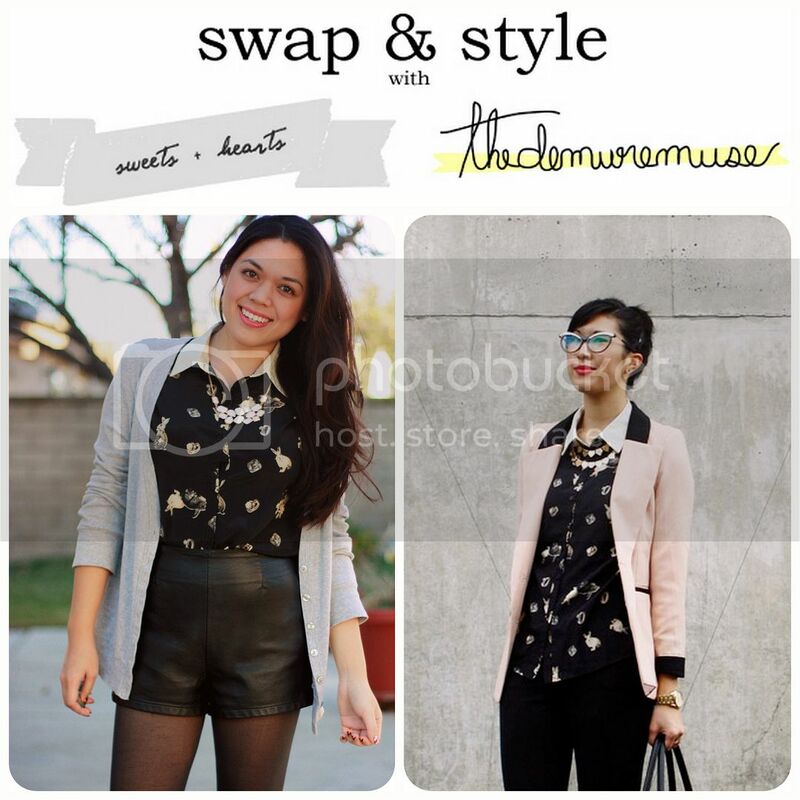 Check out our other Swap & Style posts here.